What it is: A luxurious and rich multi-functional cleansing crème that transforms the cleansing ritual into an art. Delicately releases the skin of impurities, including waterproof makeup. 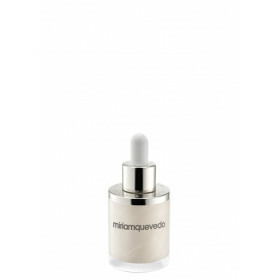 The lavish multi-emulsion oil leaves skin perfectly hydrated and calm with a soft and comfortable finish. What it does: This luxurious Cleanser Crème uses the most advanced technology to create a transformation that caresses the skin. The oil based micro–emulsion melts perfectly into the skin, then transforms into a milky emulsion once in contact with water. Provides the skin with comfort, hydration and elasticity while reducing irritation that could accelerate aging. Who it’s for: For all skin types including dry, sensitive, dehydrated, aged or sensitized. What it’s free of: Formulated without Parabens or Sulfates. - : White Caviar Oil. - : Luxurious Oil based Micro–Emulsion. - : Encapsulated Pure Swiss Glacial Water. - : Organic Baobab Oil. - : Organic Botanical Extracts (Edelweiss Flower and Cotton). 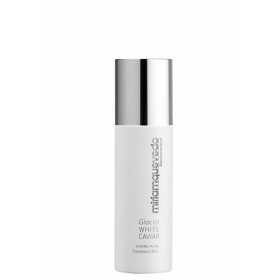 - : -	Rich Cleanser cream that release skin impurities also make up, inclusive waterproof. - : -	Gently release eyelashes and eye of all make-up. - : -	Luxurious and rich texture that subtly transforms into a soft multi-functional cleanser cream that provides an intensive skin hydration. - : -	Calm and hydrated, provides an incomparable comfort sensation. - : -	Provides a gentle but intense clean whilst still maintaining the skin’s protective barrier without stripping it of its essential fatty acids. - : -	Regular use restores incredible softness revealing a healthy and luminous aspect. - : -	Skin texture is dramatically improved. -- : -	Facial tensions fade away. Perfect elastic skin. - : -	Perfectly clean and hydrated, provides a soft and prepared skin to apply make up after its use or any Miriam Quevedo Treatment. Apply the Cleanser Crème to a cotton pad and apply to closed eyelid, pressing slightly and holding for a few seconds. Then, gently remove the makeup from the upper eyelid with the cotton sliding up from lashes to brow. Finish the process by gently wiping the lower eyelid. Repeat on the other eye. Next, apply a small amount over face, neck and neckline using your fingertips to massage gently. Once worked in, moisten your hands with The Glacial White Caviar Toning Lotion and with your damp fingertips massage until it transforms from a lavish micro-emulsion oil into a milky texture. Remove with damp cotton pads and finish by rinsing with plenty of lukewarm water. Follow with The Glacial White Caviar Toning Lotion and continue with your Miriam Quevedo Beauty Ritual. Luxurious Oil based micro-emulsion: Luxurious and rich sumptuous texture, from organic origin, subtly transforms into a soft cream when in contact with water delicately realizing the skin of impurities and make-up, even waterproof ones. Sulfates-free (safeand gentle).